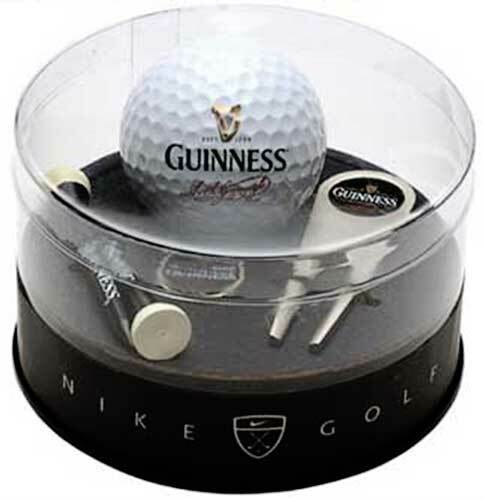 Guinness golf set features classic designs and is the perfect gift for any fan of Guinness and golf. Beautifully presented in its own case this golf set comes complete with labeled Guinness Callaway golf ball, stainless steel divot repair tool, Guinness logo stainless steel ball marker and two pint styled golf tees. The Guinness golf gift set features the Guinness design on the various tools of the game. This is just one of the many Irish golf gifts that are available at The Irish Gift House. Guinness golf club head cover features an embroidered pint of Guinness. Guinness golf towel features an embroidered pint design that includes the iconic Guinness signature. Guinness golf towel features embroidered designs that include the famous Guinness signature along with the harp logo. Guinness golf towel features the famous Arthur Guinness embroidered signature along with the harp logo.